The long and winding road of a senior can be hard. But with the right roadmap and guide, the road of seniorhood can be much smoother. 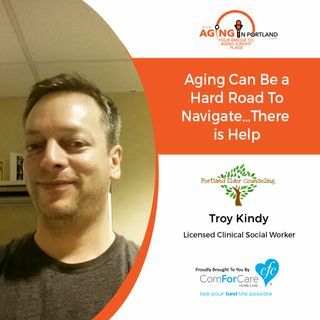 That is where Troy Kindy, licensed clinical social worker, comes in to help seniors and their families navigate the pitfalls of old being a senior. Troy provides mental health services and case management services for older adults, and counseling and support for family caregivers.